This resource contains a playlist of over 40 songs to empower and validate your narcissistic abuse recovery. The songs go all the way back to the 70s and cover all decades in between up to the music of today. The genres span pop, country, hip-hop, electronic, and hard rock. If you’re a music fan, you’ll probably recognize many of these songs. There may be a few surprises in here that you’ve never heard. I’ve started to receive songs suggestions from readers that I’m adding to the playlist so it’s growing. I encourage you to try out each song on the list to see what might resonate with you, even if some don’t tend to come from your favorite genres (unless of course a song is triggering or holds difficult memories for you). You might find a new favorite go-to when you’re feeling especially sad, vulnerable, or nostalgic about the relationship. I did! There are two ways to listen. You can review each song individually on this page to find ones that you like. Or, at the bottom of the page, I’ve included a link to the playlist if you’d like to listen to it straight through. Under some of the songs, I’ve included a short description of the reason that I included it in the playlist. NOTE: This is a NSFW playlist! There are some explicit lyrics in some of these songs and some of the videos are also not for general audiences. If you find any of the lyrics offensive or they do not fit your situation, please skip them. I’ve noted with a * the songs with explicit lyrics. Also, if the genders of the singer or the pronouns in the song don’t apply to your situation, it is always worthwhile simply to do a thought exercise and substitute where appropriate. This is one of my favorites on the list. It’s an empowering and genuine song that I think strikes the perfect balance between alluding to how much serious damage was done while also stating that it didn’t break her or make her bitter. Cardi B does not mince words, and there are some explicit lyrics in this song that might feel familiar to many people who have been in a relationship with a narcissist. They get right into the specifics and talk about how her man is “living two lives” and she “thought you would’ve learned your lesson/’Bout likin’ pictures, not returnin’ texts/I guess it’s fine, man, I get the message/You still stutter after certain questions/You keep in contact with certain exes” and how “It’s gonna hurt me to hate you but lovin’ you’s worse.” But one of the best parts of this narcissist relationship anthem is its empowering chorus, where she warns him to “be careful” because he’s losing something valuable with his careless actions. This song is a powerful good-bye to a very controlling and emotionally abusive partner. This song provides validation for the narcissistic abuse cycle and how sick it makes you feel physically and emotionally. Another “you can’t break me” song, describing how she didn’t know how strong she was until she had to pull through such a deceptive and painful relationship. I especially like these lyrics: “You probably think that I hold resentment for you/But, oh no, you’re wrong/’Cause if it wasn’t for all that you tried to do, I wouldn’t know/Just how capable I am to pull through/So I want to say thank you.” I like to think of this as cutting off narcissistic supply by not giving any emotional reaction to the narcissist for what he or she did and instead choosing to focus on myself. This is a pretty explicit song, but if you need to beef up your “I dodged a bullet” attitude, I really can’t think of a better song. I like the part in the middle of this song where she says in that cold voice, “The old Taylor can’t come to the phone right now. Why? Cause she’s dead.” That innocent person the narcissist used to take advantage of and exploit is gone, right? This song is a reminder. Listen to this song and watch the video every time you get the urge to reach out to the narcissist during no-contact. If you’re going through the emotional roller coaster and having a phase where you’re wondering if it was as bad as you thought it was, watch this video. You may never have heard this song, but few songs will describe the psychopath’s approach to relationships better than this one. Yep. Just what it sounds like. Another attitude song. Did the narcissist find new supply? The thing is, all of these emotions are manufactured in you–anger, jealousy, confusion, fear, guilt, shame. But songs like this are an outlet for that. Don’t reach out to him, or to her. Leave them be. Better her or him than you, right? Or maybe you feel sorry for the other person. There’s nothing you can do about it. You have to separate yourself from it–that’s the healthy response. A little-known song that takes a backward look at the behavior, all the double-dealing, double-standards, and other ugly things they did, and puts it in a whole new light. If you have ideas about other songs that should be on this list, leave a comment or send me an email and I’ll review the song. I’d rather not add songs that describe only what it’s like to be in the heights of love with them or the throes of despair unless it’s also accompanied by an empowering message. 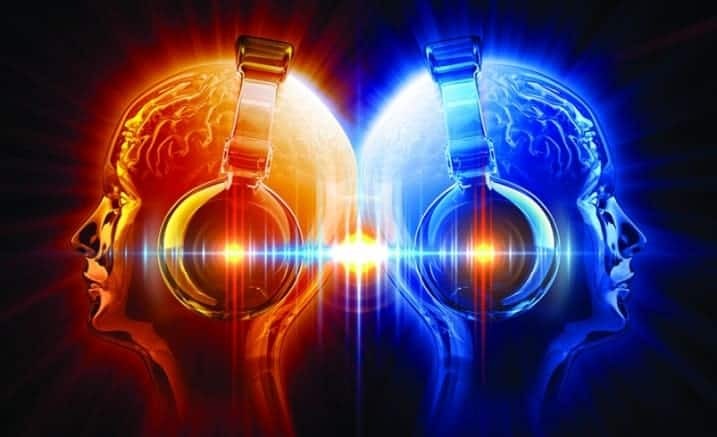 Although everyone’s experience is different and it’s not possible to predict what memories someone will attach to a particular song, let’s avoid any obvious songs that might send anyone back into the arms of a narcissist or spiraling into depression. They make good choices for showing others what narcissistic abuse is like, but not for recovering from the relationship. Thank you!